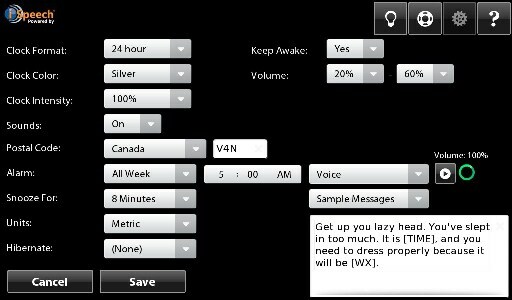 As soon as I got the BlackBerry PlayBook Charging Pod the search began for an alarm clock app. The way the PlayBook sat there on my nightstand, it was just calling out to be my new alarm clock. So off to App World I went to see what is out there and came across Talk Clock. Overall a very nice application that uses iSpeech technology offering you a very nice female Stephen Hawking voice to wake you up in the morning. Keep reading for a closer look. 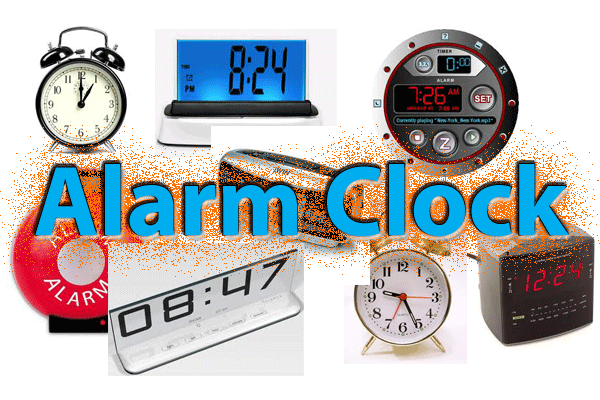 If you have the voice wake-up set the standard greeting is simple - "Time to wake-up this time is **, today's weather is **". The voice is calm and quiet enough that my wife isn't disturbed when I get up at 5:00am. She has commented many times how much more she prefers this alarm clock to the BlackBerry alarm clock I previously used. For the life of me I don't understand why she didn't like my BlackBerry Torch blaring "She Sells Sanctuary" by the Cult every morning at oh Five Hundred. I will caution you that the voice alarm clock only will work when you are connected to WiFi. One night during a power outage the alarm didn't go off because it wasn't picking up my AirPort Extreme WiFi signal and that can be a real issue. When one of the simple sounds are chosen the WiFi situation is not a factor. 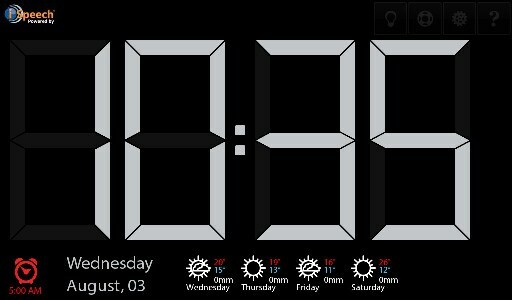 The WiFi is used for the weather forecast, so no internet means no weather, so the whole alarm clock just gives up. Where this could be a real issue is in a hotel which requires you to renew your internet access every 24 hours. If the 24 hour access expires before you wake-up, no alarm for you. With the exception of that snag I most definitely give this a thumbs up. Talk Clock is available in App World for $1.99 or free on a 30 day trial.